This shorts have become a big fashion statement this summer. 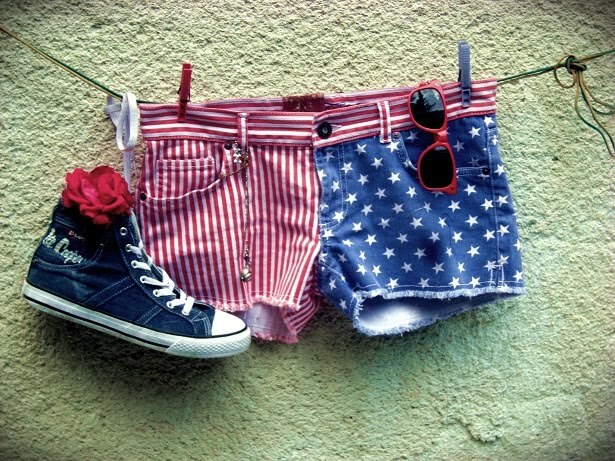 Lovely shorts! I only wear shorts when I'm home though. yes i think so, they are so popular :D now i'm so jealous and desperate to get them!! thank you for your comment at Rose's Turn :) following! lovely photos, you look so cool in the shorts!! Of course I'll follow you sweetie! Your American flag shorts are cute. I wish I can follow you on Bloglovin but I did not register with them. Are you on Twitter or Facebook? You asked me for following each other.I like your blog so I follow.Hope you do the same. I love your shorts too!